Bryan College is a 4-year Non-Denominational liberal arts college located in the foothills of the Smokies in beautiful East Tennessee. 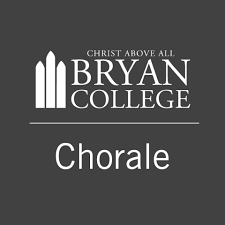 Our Chorale, under the leadership of Dr. Kimberly Keck, consists of approximately 40 girls and guys who sing a repertoire of sacred classical, gospel, and spiritual music in an hour-long concert, interspersed with student testimonies. The 18-voice Chamber Singers has a portion of the program as well. We provide a prelude, offertory/musical interlude, and a benediction. Please consider being our guest at Hillview Baptist Church on March 8, 2019 @ 7:00pm for Chorale Spring Tour!